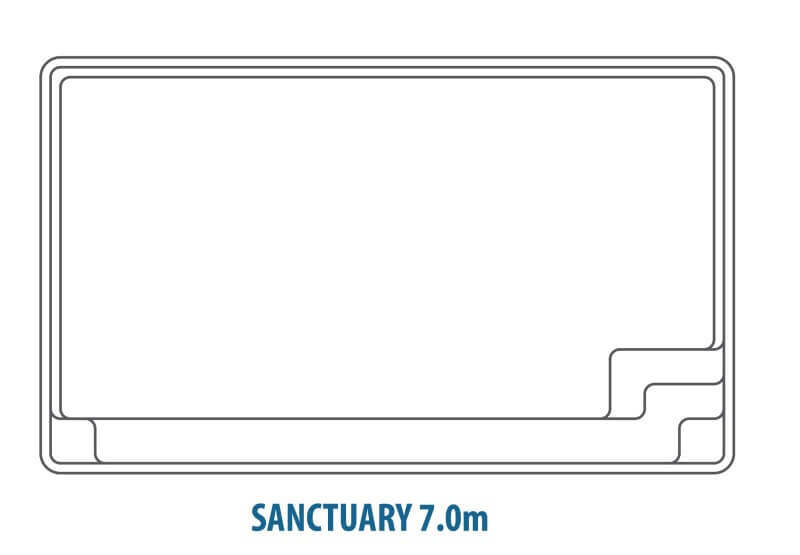 Would you like to compare this Sanctuary pool with another swimming pool shape? 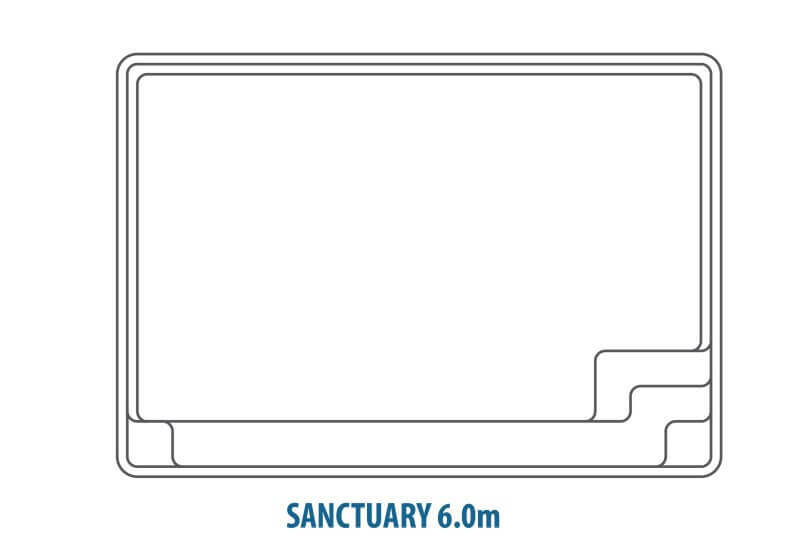 Learn why are all sizes in the Sanctuary Pool Range are so special. 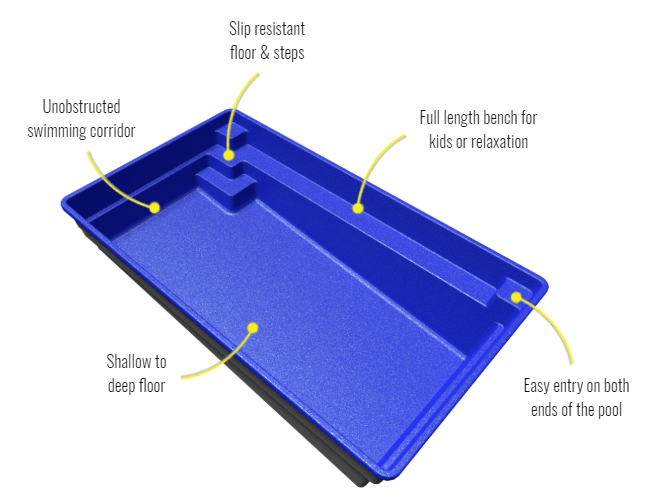 They are tough and durable thanks to a patented ceramic core technology (look at the Ceramic Core Technology). 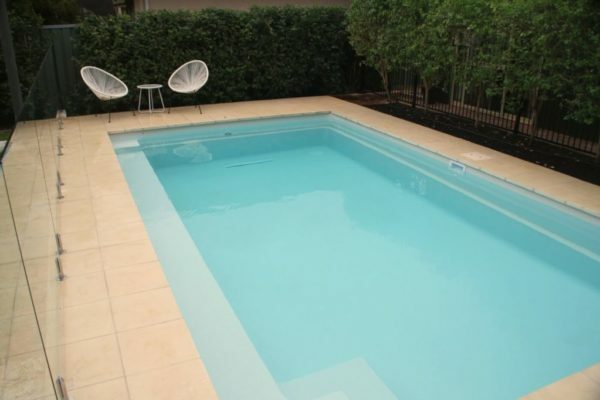 Compass fibreglass pools come with protection against hydrostatic events (see the HydroPro Protection). 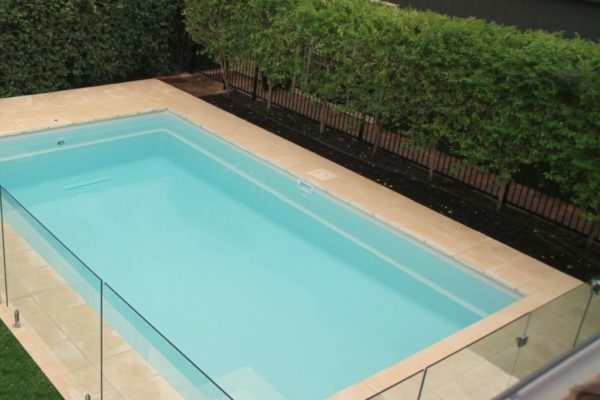 They can be built almost anywhere and we are building them as inground pools, semi-inground pools and above ground pools (Look at the Maxi Rib Technology). And last but not least, with the self-cleaning technology, the pool will clean itself giving you more time to have fun in the water (learn more by clicking on Smart Self-Cleaning Pool).